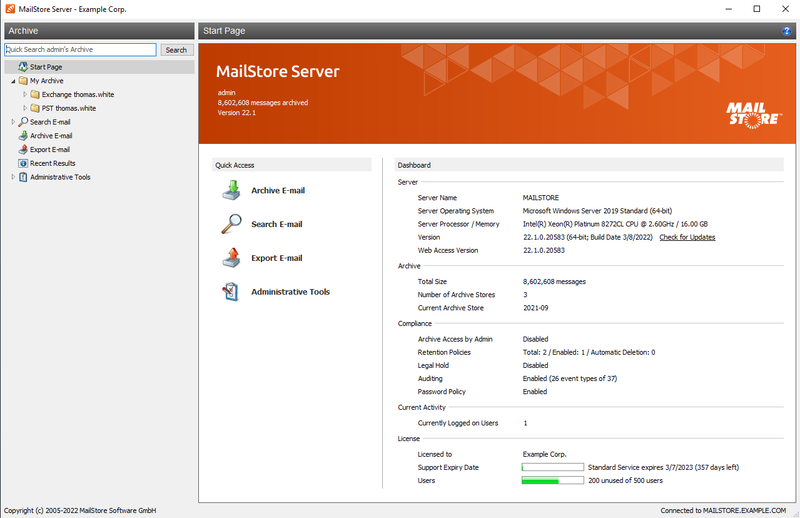 All administrative tasks can be carried out centrally via MailStore Client. 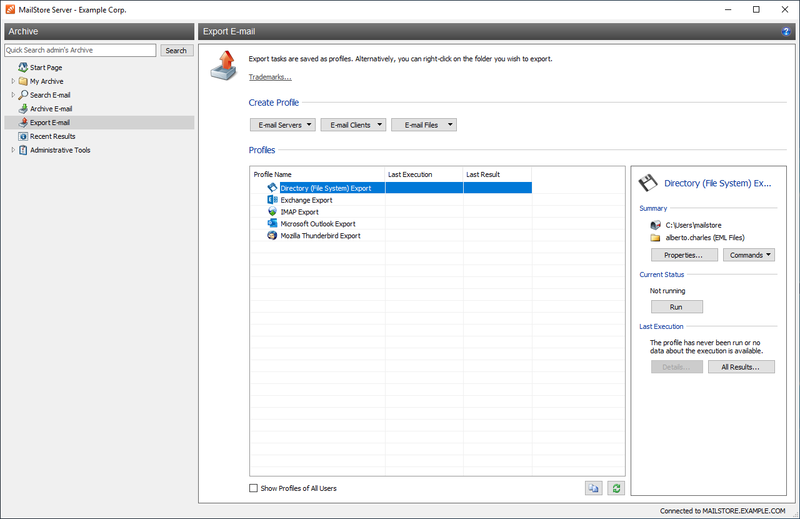 Archiving tasks are saved as profiles, which can be run manually or according to a schedule. 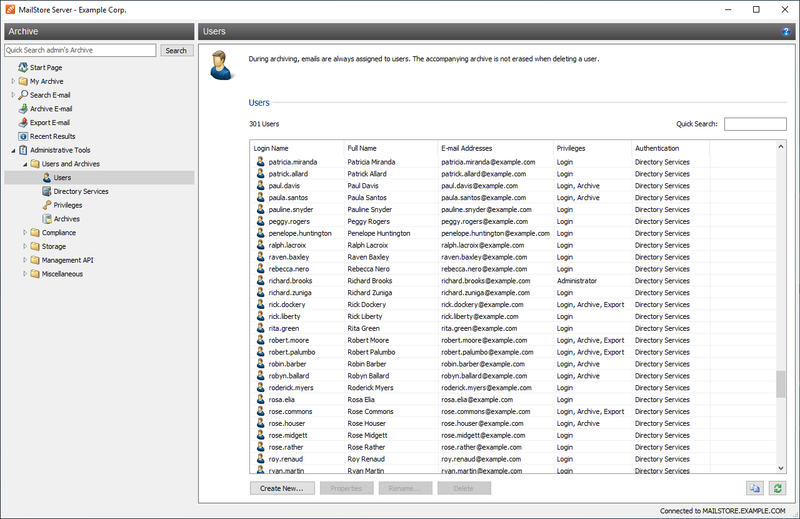 Emails will always be allocated to a specific user’s or their respective owner’s archive. 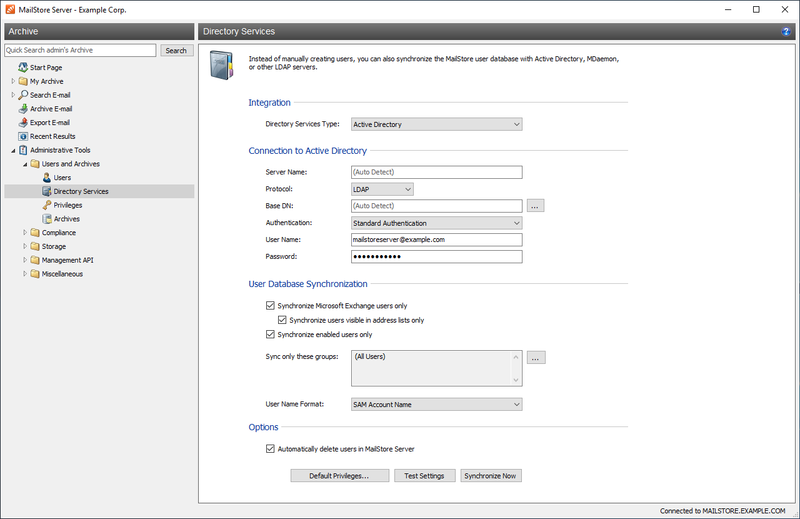 Users can be created manually using the Active Directory or synchronized using a generic LDAP server. 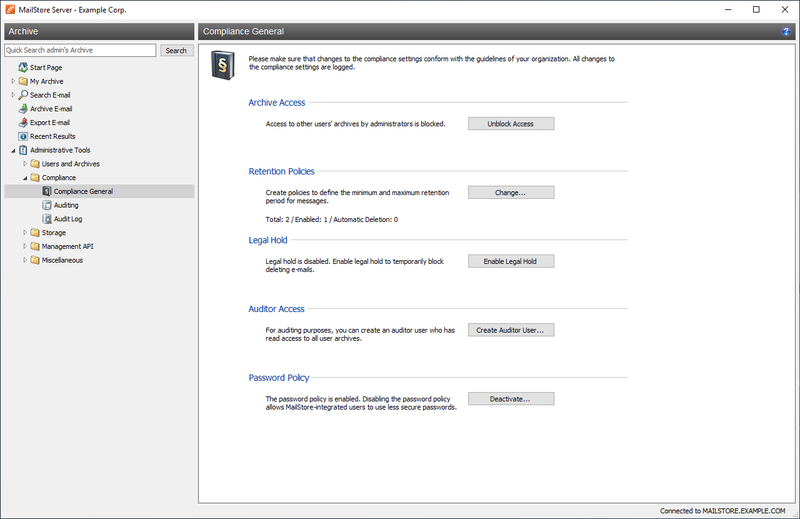 It is possible to configure features such as the retention guidelines and legal hold function in the compliance settings. 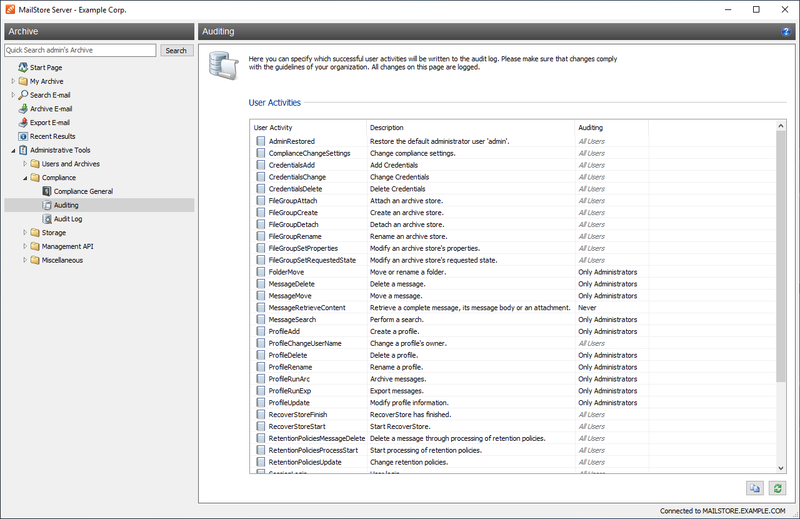 The auditing function allows the user to define which user activities events are logged. 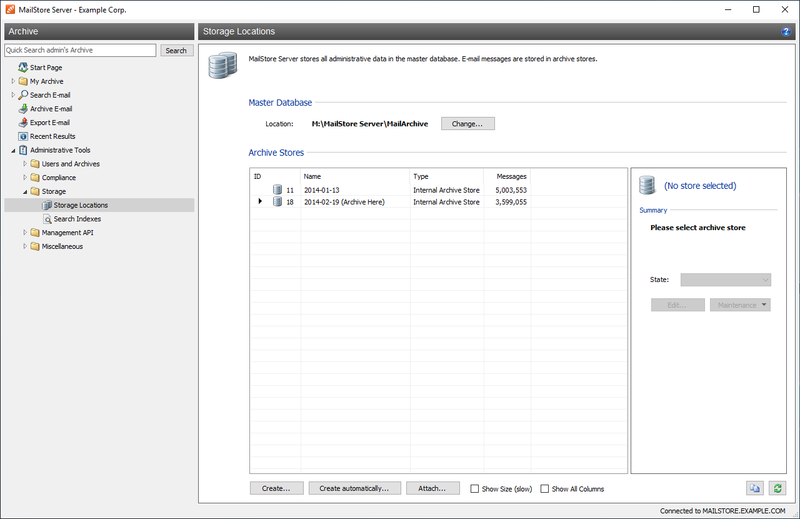 The main archive can be created from any number of archive stores. 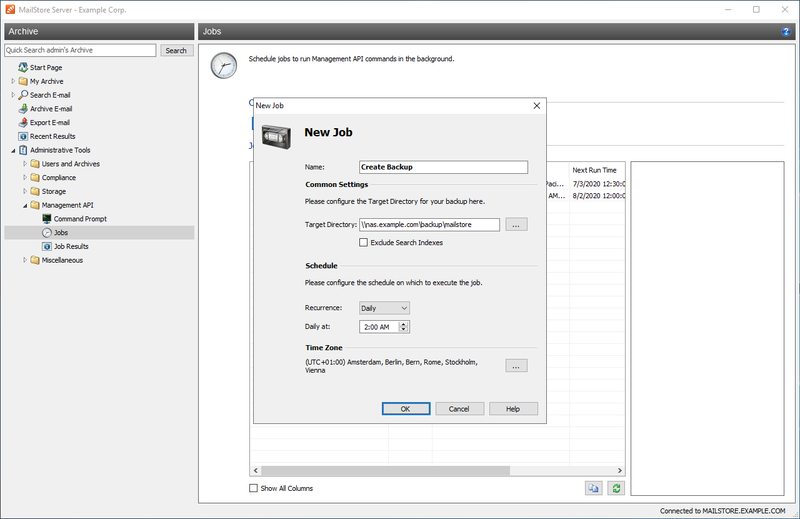 These can be created in the file system or using the Microsoft SQL server or PostgreSQL. 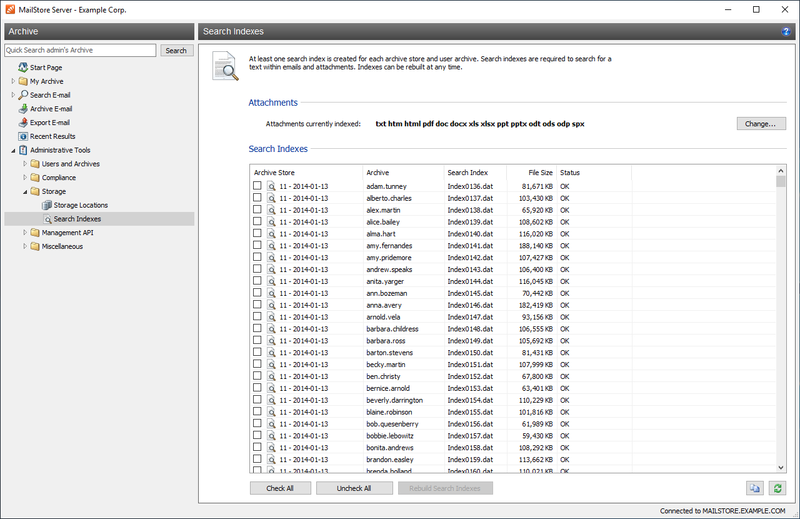 Search indexes that are created by users in the archive store provide fast access to search results within the archive. 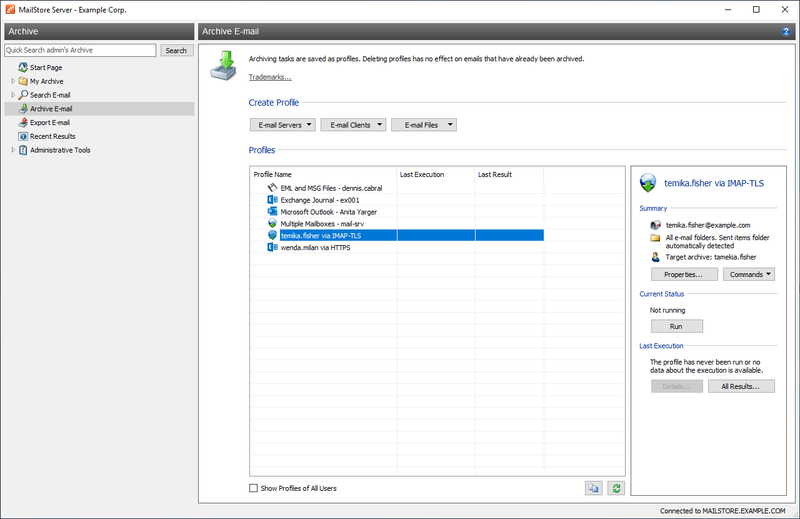 Backups can be performed using an integrated backup feature or third-party backup software. All archived emails can be restored from the archive at any time using various different methods and without loss of information. 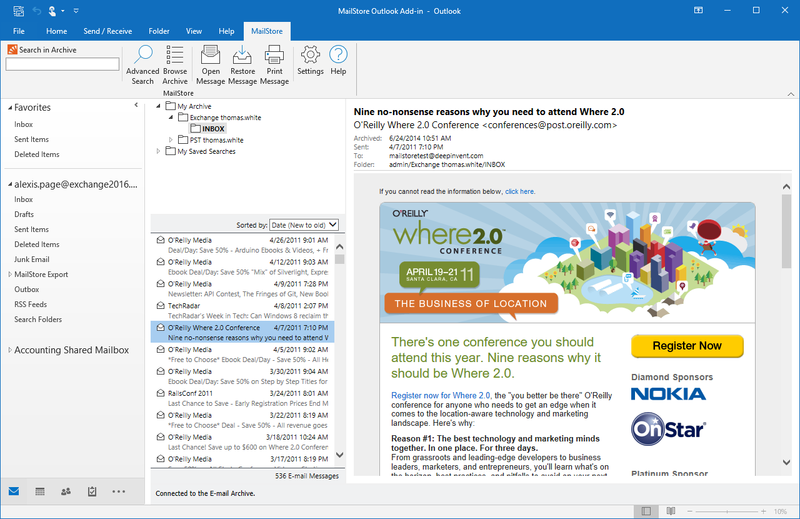 The MailStore Add-in integrates seamlessly into Microsoft Outlook and can be intuitively operated by users. 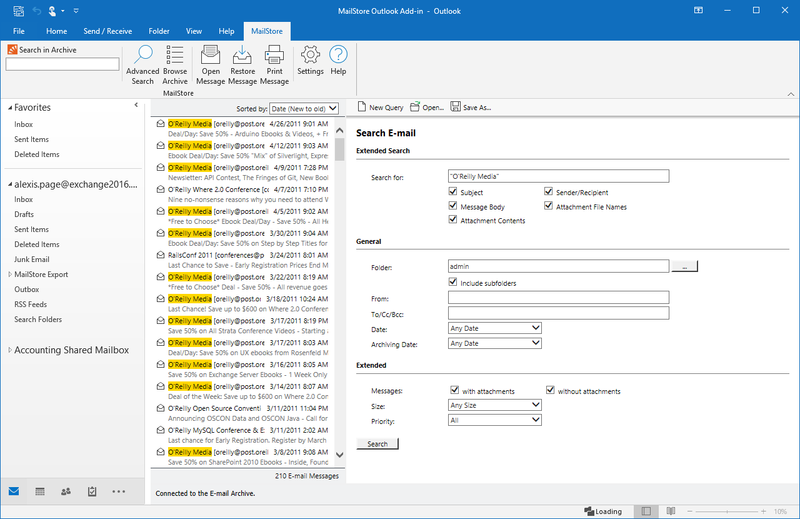 Complex search queries can also be formulated using the advanced search function of the Outlook Add-in. 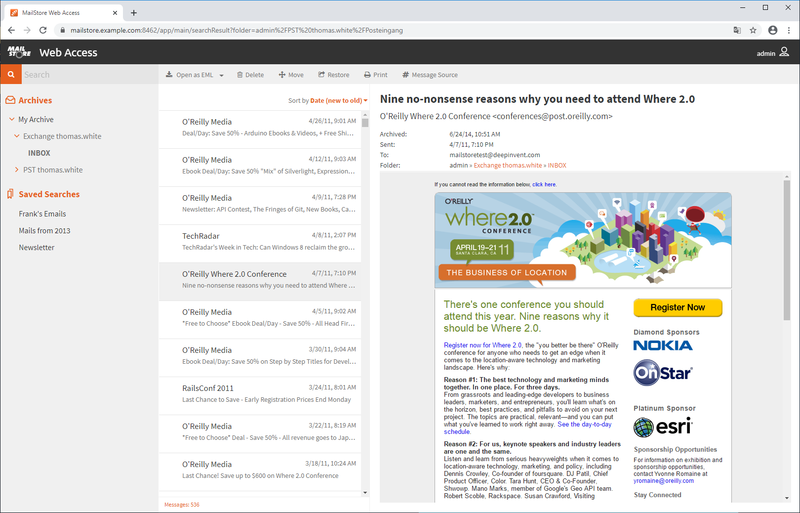 The responsive MailStore Web Access enables you to use any web browser to access the email archive – even on smartphones and tablets. Starting at € 295 (plus VAT where applicable). Appealing volume discounts available.